"Have you ever danced with anybody?" Alchemy has debuted the official US trailer for Yorgos Lanthimos' latest film called The Lobster, starring Colin Farrell. The film is mostly in English, set in a dystopian future where single people end up at a villa where they must find a mate within 45 days or be turned into an animal. It's a brilliant mockery of modern society and romance, and some moviegoers will totally fall or it, while others will find it annoying. The full cast includes Rachel Weisz, Léa Seydoux, John C. Reilly and Ben Whishaw. This trailer starts to show more of the second half where Farrell ends up with a group hiding out in the forest, all in pursuit of Weisz. I seriously enjoyed this film - read my NYFF review. Enjoy! In a dystopian near future, single people, according to the laws of The City, are taken to The Hotel, where they are obliged to find a romantic partner in forty-five days or are transformed into beasts and sent off into The Woods. 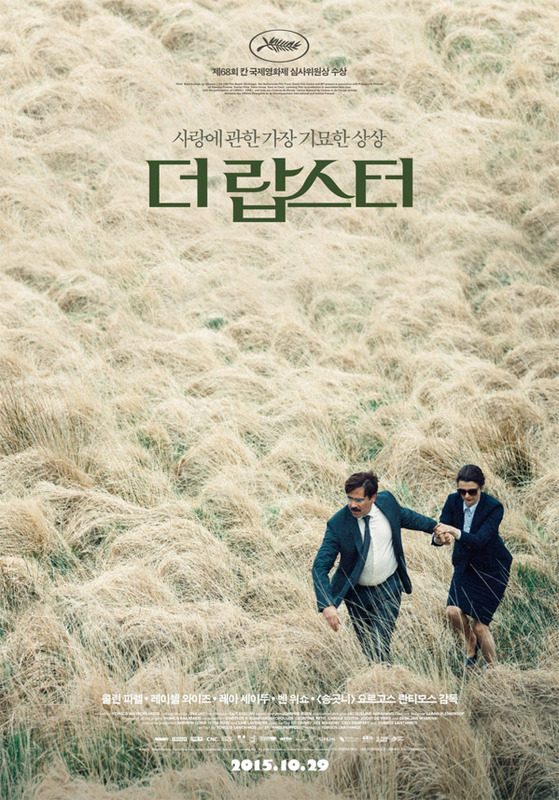 The Lobster is directed by award-winning Greek filmmaker Yorgos Lanthimos, of Dogtooth and Alps previously. The screenplay is written by Yorgos Lanthimos and Efthymis Filippou. This first premiered In Competition at the Cannes Film Festival in 2015. The film initially opened in UK cinemas last October after showing at other fests, and also played the New York Film Festival. Alchemy will release Yorgos Lanthimos' The Lobster in select US theaters starting on March 11th, 2016 this winter. Curious? I have seen it already and it's maybe the worst movie experience i ever had. It goes nowhere, it's so slow like a granny in a golden oaks retirement centre and never ever funny. It's pretentious and onley made for people who want to commit suicide by being bored. O yeah if you liked birdman this is the movie for you! I've seen it too, definitely slow and has some eerily awkward scenes, and no where near as funny as the trailer makes it out to be, but it was an average movie in my opinion. Not something I would rant about or highly recommend, but something to sit there if you have nothing else to do. That movie most definitely went somewhere. I had seen some reactions praising it, guess it will be one of those films where you either support or hate. This should be fun.